This wine shows great black fruit aromas with complex spiciness. The palate is beautiful with a rich brooding texture. The Remelluri estate’s origins date back to the 14th century when monks from the Toloño monastery founded a sanctuary and farm at the site. The monks later abandoned the site but local hermits continued to maintain the shrine while the Real Divisa, a local community organization, maintained the farms to accommodate the needs of pilgrims who came to pray at the sanctuary. The estate was eventually split up and sold. The modern winery was established in 1967 when Jaime Rodríguez Salis purchased the vineyards at the heart of the former estate. Since then Remelluri has been devoted to recovering the old lands of this historic site and restoring the original vineyards. 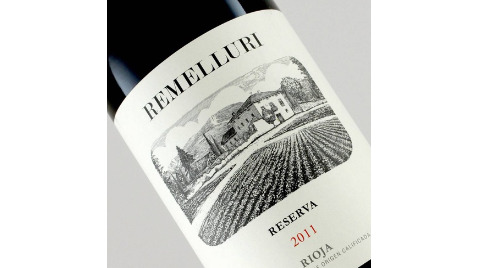 Remelluri’s vineyards are located along the slopes of the Sierra de Toloño mountains in the valleys of Valderemelluri, La Granja and Villaescusa. The vineyards here are at the highest elevation in the region, south-facing and protected from the prevailing winds and frost. It is the unique microclimate of this area that gives the wines of Remelluri their personality. Poor, stoney soil with layers of clay help to retain freshness while the Atlantic influence provides abundant rainfall and lower temperatures than there are in the rest of the region. The alternation of cool nights and hot days offers ideal conditions for proper phenolic ripening of Tempranillo. Organic farming principles have always been utilized to ensure that the wines remain true to this unique terruño. Remelluri also uses an integrated system of agriculture with great respect for the environment. Hedges and plantations are maintained and nurtured. Trees are planted to complement the vineyard; almond, peach, fig and above all olive trees, which also facilitate pollination, as the flowers attract bees. After years of perfecting his craft and gaining international recognition for his winemaking abilities, Telmo Rodríguez has returned to his family winery. Telmo seeks to remain true to his family estate’s vaunted history while guiding it into a bright tomorrow.